It was less than a year ago when we reported that Derby's city council confirmed that three of their speed cameras were being stood down while all others remained under review. 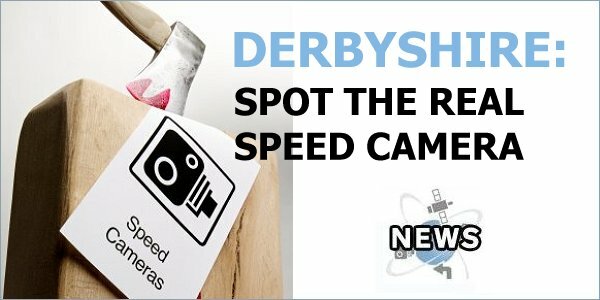 According to guide2derby, only 10 speed cameras now remain operating in the whole of Derbyshire after further cuts. Councils' road safety funds were cut nationally last year by the government, with no funding for new cameras. A Derbyshire Road Safety spokeswoman said "the cameras are moved between the county's box sites outside of Derby city � of which there are 97 � depending on which roads are considered the most dangerous. ", adding "We use a mixture of cameras fitted into vans and cameras that fit into those yellow boxes by the side of the road." This of course leaves motorists guessing as to which cameras are working and which are not. So the story is that instead of 14 cameras being rotated between the county's 97 static camera positions there are now 10 and it's been that way since February. Slow news day at Guide 2 Derby? Indeed, but it confirms that slowly but surely faulty cameras are not being replaced and, unless the policy changes, there may eventually be a situation when there will be no cameras at all left in the county.